A leading real estate expert has identified his top picks for suburbs to buy into over the coming 12 months. John McGrath, executive director of real estate agency McGrath, believes Millers Point in Sydney is “about to explode”. “With the top end of the town as one neighbour, Barangaroo as another and Sydney Harbour at your door it is the best located suburb in the country,” he said. In addition, he identified Concord as an area “on the move”. “Whilst prices are no longer the obvious value they were a few years ago, they’re still well short of where they will be in the next 10,” he said. Other top picks for Sydney include Camperdown, Botany, Balmain, Earlwood, Little Bay, Forestville, Rouse Hill and Dolls Point. In Queensland, Mr McGrath pointed to Newtown in Toowoomba as an area to watch. “Less than two kilometrs west of the Toowoomba CBD, Newtown is an affordable hotspot undergoing change as more young couples and families move in and renovate,” he said. He also identified Brisbane’s Helensvale as a “sleeping giant” due to its prime location near the CBD and the Gold Coast. His other Brisbane hotspots include Indooroopilly, Carindale and Hendra. In Canberra, Mr McGrath favoured Crace, a new neighbourhood popular with families. “Crace is Australia’s fastest-growing housing market according to the Housing Industry Association, based on the value of new home approvals and population growth,” he said. 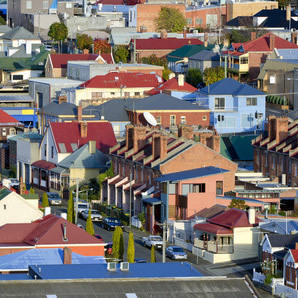 The ACT's Ainslie and Turner also made his list of top suburbs. To round out his picks, Mr McGrath pointed to Moss Vale, Mount Ousley, Blackheath and Kincumber as regional New South Wales towns with growth potential. “Kincumber offers good yields and prospects for capital growth with today’s prices about 20 per cent less than Avoca Beach and Saratoga,” Mr McGrath said.